Synopsis : Audrey's father taught her that to stay human in the modern world, she had to build a moat around herself; a moat of books and music, philosophy and dreams. A moat that makes Audrey different from the echoes: sophisticated, emotionless machines, built to resemble humans and to work for human masters. Daniel is an echo - but he's not like the others. He feels a connection with Audrey; a feeling Daniel knows he was never designed to have, and cannot explain. And when Audrey is placed in terrible danger, he's determined to save her. 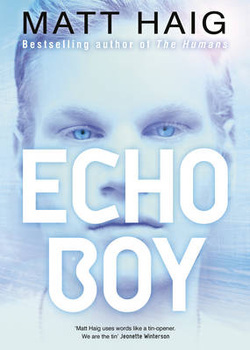 Echo Boy is a powerful story about love, loss and what makes us truly human.